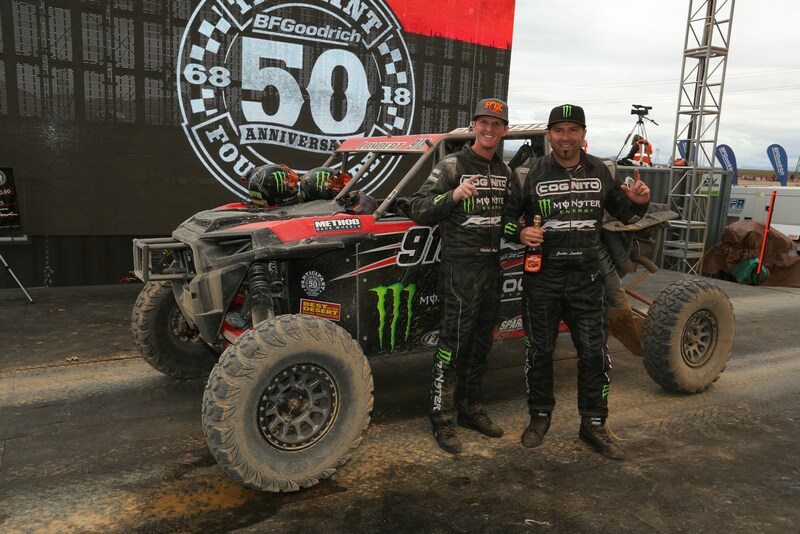 Minneapolis (March 12, 2018) – Polaris RZR® Factory Racing continued its impressive 2018 season with a dominant performance at the 50th annual Mint 400, the largest and most well-known off-road race in the United States. Lambert battled his way through the packed field of 69 turbo cars after he started 59th to take the lead time on the last lap of the race. Seth Quintero finishedsecond in his professional BITD race debut, right behind Dodge Poleman who took his second Mint 400 win in a row. Kristen Matlock was not far behind Seth as she continues to prove why she is the most dominant female driver in the sport. The Polaris Factory team will look to build on its success when it returns to competition at the UTV World Championships on April 6 and 7 and the San Felipe 250, also on April 7.